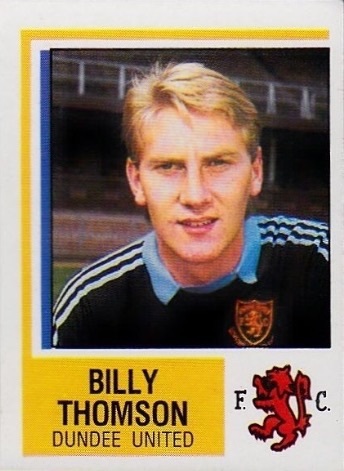 Billy began his senior career with Partick Thistle in 1975 but found it difficult to displace their international goalkeeper Alan Rough, only playing four competitive matches – two against Dundee United in the League Cup – in his three years at Firhill. 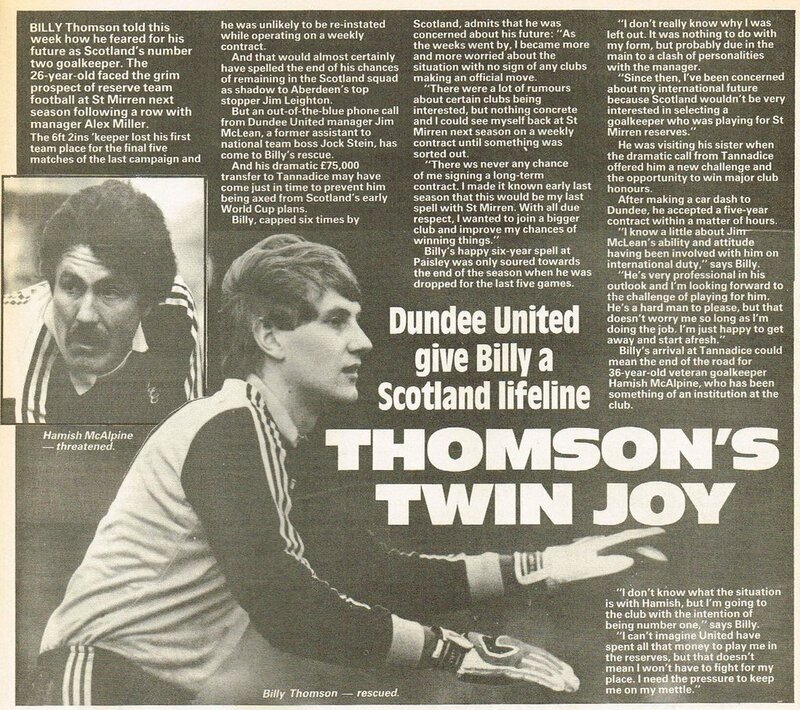 Capped at Under-21 level, he signed for St Mirren for £50,000 in August 1978, and was first choice keeper during his six seasons with the Buddies. He made his full Scotland debut against Northern Ireland in May 1980, winning the first of his seven international caps whilst at Love Street. After a fall out with St Mirren during the 1983-84 season, he signed for United in June 1984 for a fee of around £75,000. His first appearance was against Viktoria Aschaffenburg a few weeks later and his debut in major competition followed in August against Hearts. After a brief run in the team, his first season was spent mainly as understudy to an in-form Hamish McAlpine, who at 36 went on to pick up the Scottish Football Writers' Footballer of the Year award. 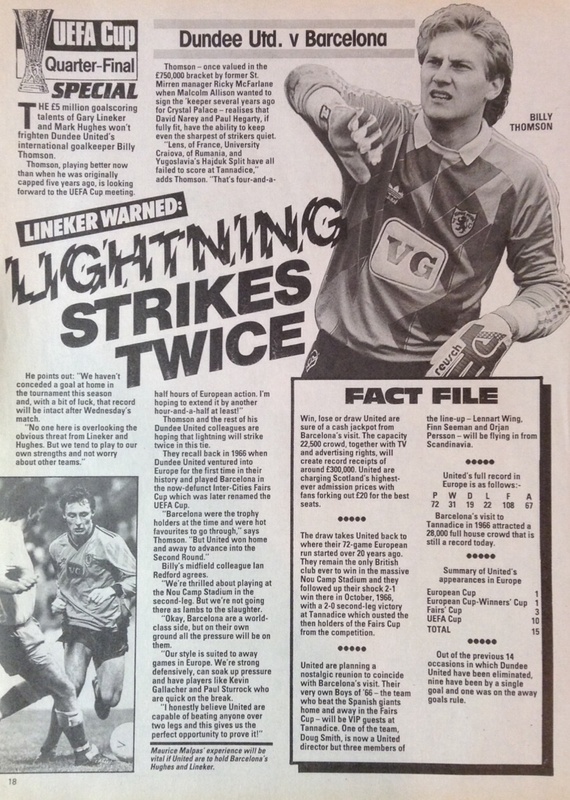 In 1985-86, he became firmly established as the first choice keeper and held the No. 1 Jersey for the next four seasons. His best term with United was 1986-87, when he starred in United’s run to the UEFA Cup final, where he played on after an horrific injury to his left ear in the 1st leg in Gothenburg. He also helped United reach the Scottish Cup final that season, but unfortunately collected a runners-up medal in both competitions. He was also on the losing side for United in the 1988 Scottish Cup final, after a late comeback from Celtic. 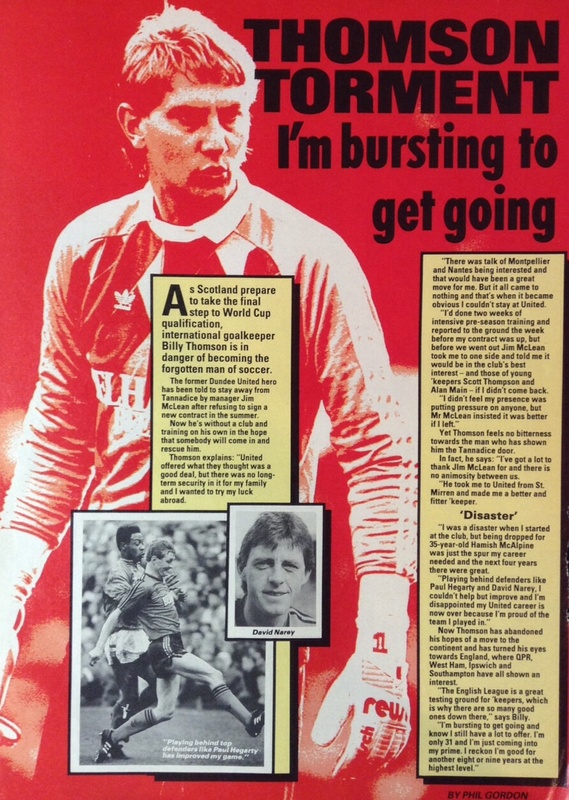 Out of contract in May 1989, there was speculation that Billy was leaving United to join Hearts, followed by interest from several clubs in France, Ipswich Town and Queens Park Rangers. All speculation seemed to end when he re-signed for United, but in October 1989 he lost his first team slot to Alan Main and handed in a transfer request. Rumours persisted, and he was linked with Dunfermline Athletic in February 1990 and went on loan to Clydebank a month later. He regained a first team place again briefly in the early part of 1990-91 but his time at United was almost over. 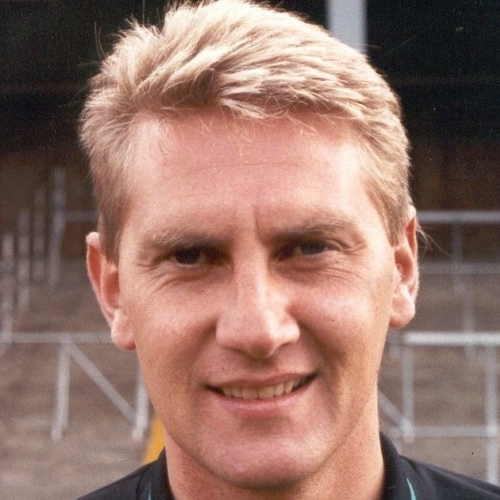 After talk of a move to Hibs, he left to join Motherwell in July 1991 for around £55,000. 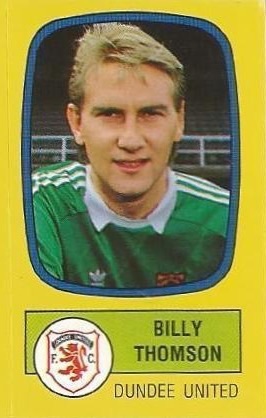 Billy was with the Lanarkshire club for two years and then moved to Rangers as player/coach. 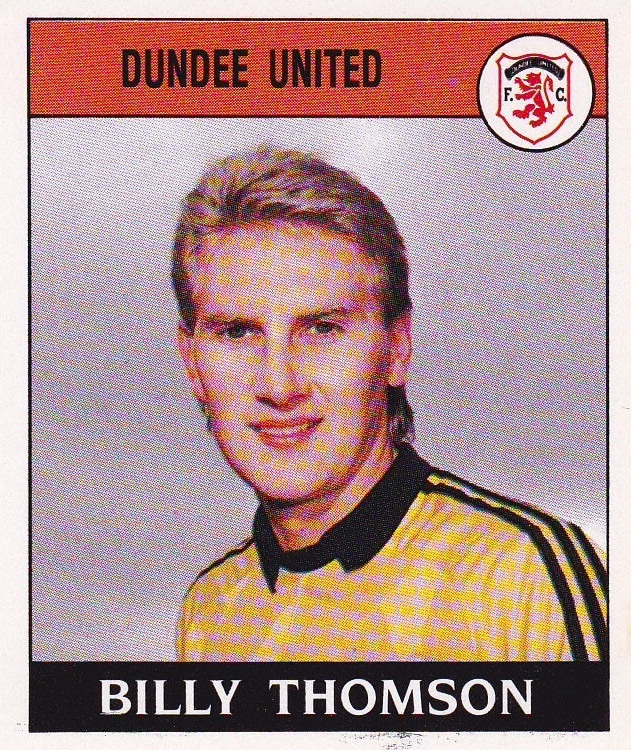 He later went to Dundee in the same capacity, before joining Kilmarnock as goalkeeping coach in 2007. In January 2012, he was inducted into the Dundee United Hall of Fame. Billy was born on this date in Linwood. On one of the hottest opening days to the season for many a long day. 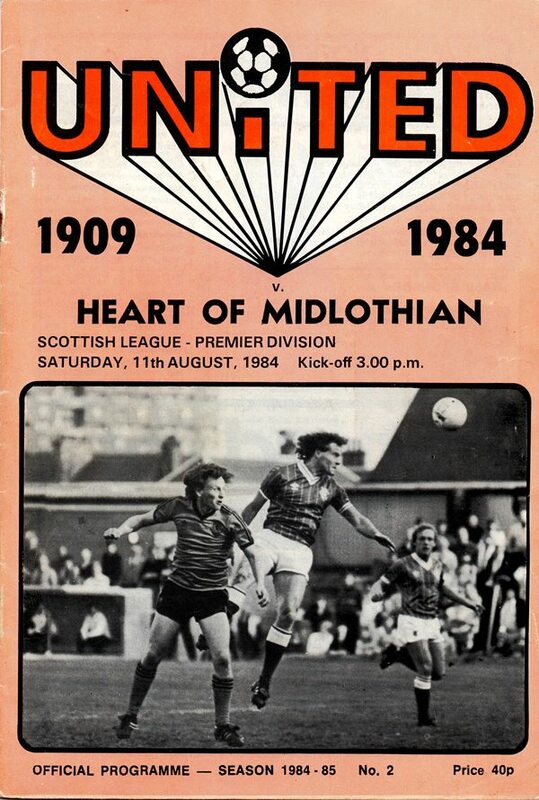 United repeated their mid-week victory over Nottingham Forest, even down to Ralph Milne scoring both goals.